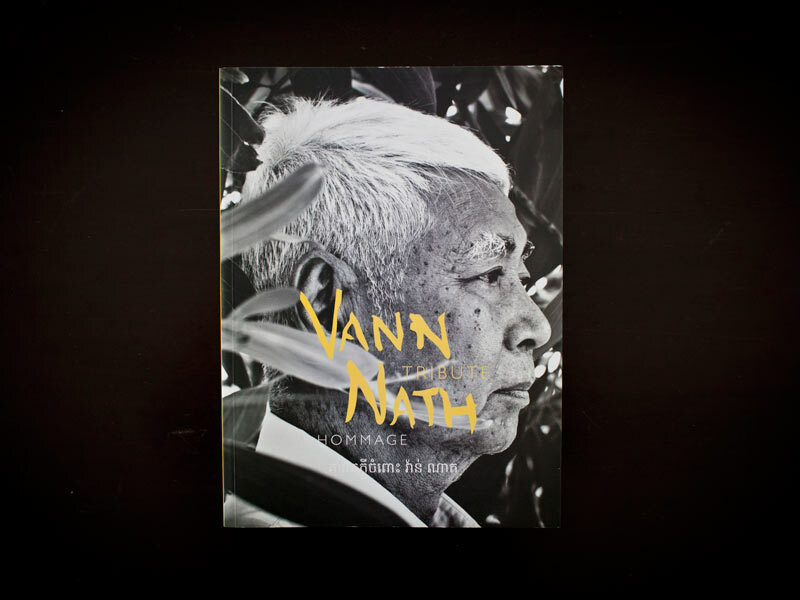 Catalog of the Vann Nath Tribute exhibition held from January 12 to February 12, 2013, at the Bophana Center. Artists, historians, writers, art critics, and journalists joined together to pay tribute to Vann Nath. "We still have vivid memories of Vann Nath, his death has left a vacuum which we will never be able to fill. His work and kindness have all inspired us. Vann Nath was a person of conviction, and we inherited his values of hope, tolerance and moral integrity. Dedicating an exhibition to his memory shows our ambition to acknowledge his commitment into contemporary history, but also into the collective memory of Cambodia. We decided to show the work of Cambodian and international artists but also personal accounts, texts and articles in order to give an idea of Vann Nath’s multi-dimensional personality (as a witness, artist, speaker, instigator, and wise man). They were all exhibited at the Bophana Center as a tribute to Vann Nath."